Asian Games 2018 Day 11 LIVE updates and results: Indian athletes are in for another action-packed day on Wednesday with sprinters, boxers and paddlers presenting Indian challenge. Sprinter Dutee Chand will look to continue her medal run with Manjit Singh and Jinson Johnson also in action. Boxers will look to seal semis birth in 4 weight categories. Indian athletes will look to continue the medal rush on Wednesday at the 18th edition of Asian Games 2018 with Dutee Chand lining up for the 200m final, and compatriot Soumya Baby, Kushbir Kaur competing in women’s 20km walk. Jinson Johnson and Manjit Singh will look to emulate their golden run in 1500m later in the evening. In women Heptathlonlon, Swapna Barman and Purnima Hembram will walk onto the field for the golden feather. 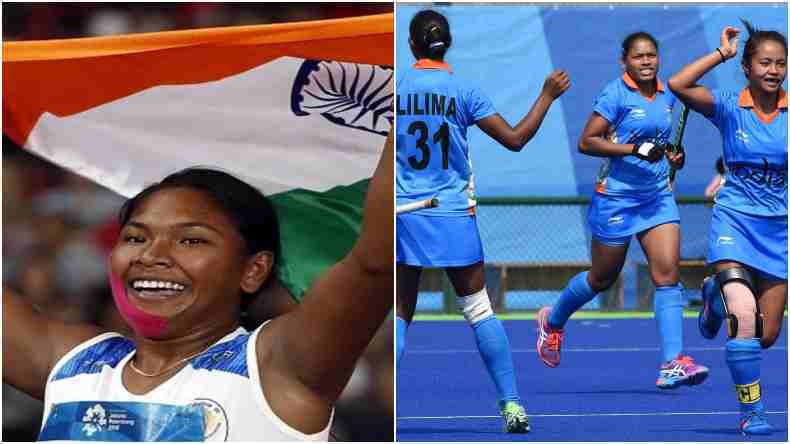 In Hockey, Indian women will lock horns with China in the semis at 6:30 pm IST, while in Handball, Indian men will take on the hosts Indonesia in their group 3 game at 12:30 pm IST. Moving on to the boxing ring, Sarjubala Devi, Amit, Vikas Krishan, and Dheeraj will slug it out to enter the semis in their respective categories. In Canoe Kayaking 500m and Kayak Double 1000m, India will eye top podium finish with Ching Singh and Naocha Singh taking the paddle. On day 10 of the Asian Games, India struck half-century with 9 medals on Tuesday. The day started with India’s women’s and men’s Compound Archery teams’ silver. Then, one more silver followed shortly as P V Sindhu was defeated by Taiwanese Tai Tzuying 21-13, 21-16 in women’s singles final. 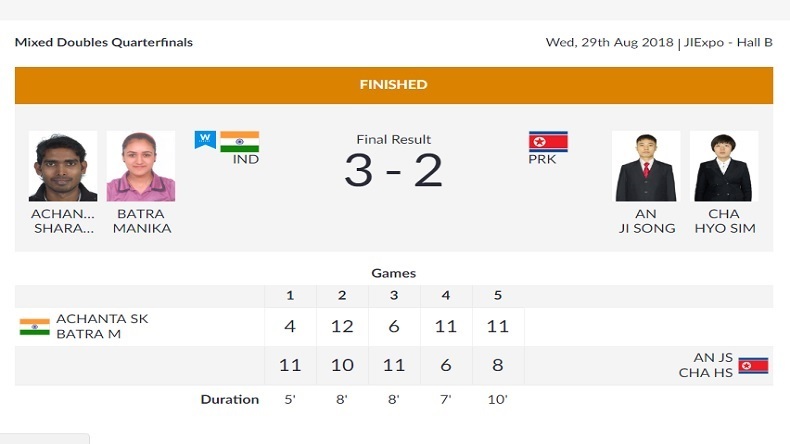 The Indian table tennis team won its first-ever medal of the Asian Games when they lost their semi-final match against South Korea. It was athletics that provided the golden feather on day 10 with Manjit Singh emerging the fastest in men’s 800m final followed by compatriot Jinson Johnson. 8:20 pm IST | Prime Minister Narendra Modi has congratulated Swapna Barman for winning gold in women’s heptathlon. A talented athlete wins a prestigious medal. 8:10 pm IST | West Bengal Chief Minister Mamata Banerjee congratulated Swapna Barman for winning a gold medal in women’s heptathlon. Barman hails from Jalpaiguri district in West Bengal. 8:00 pm IST | India beat China to enter women’s hockey semifinals. 7:44 pm IST | Women’s Hockey Semifinal: At the end of Q3, no goals from India and China. 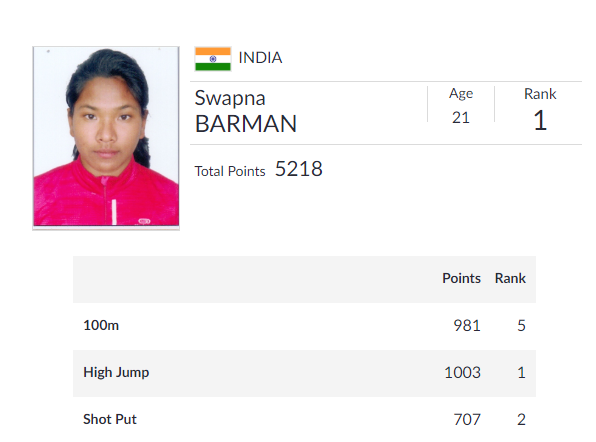 7:15 pm IST | India’s Swapna Barman won gold in the heptathlon event. She is only the fifth women to cross 6000 points! 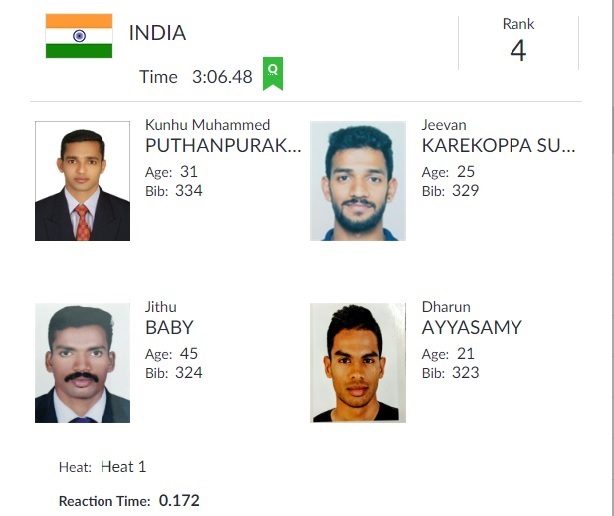 6:55 pm IST | India team (Kunhu Muhammed, Jeevan Suresh, Jithu Baby and Dharun Ayyasamy) have qualified for the final after finishing second with a timing of 3:06.48s. 6:50 pm IST | Women’s Hockey Semifinal: End of Q1 with no goals from India and China. 6:45 pm IST | Women’s Hockey Semifinal: Five minutes left into Q1 as India, China are still looking for a goal. 6:40 pm IST | Semifinals of women’s hockey between India and China is now underway. 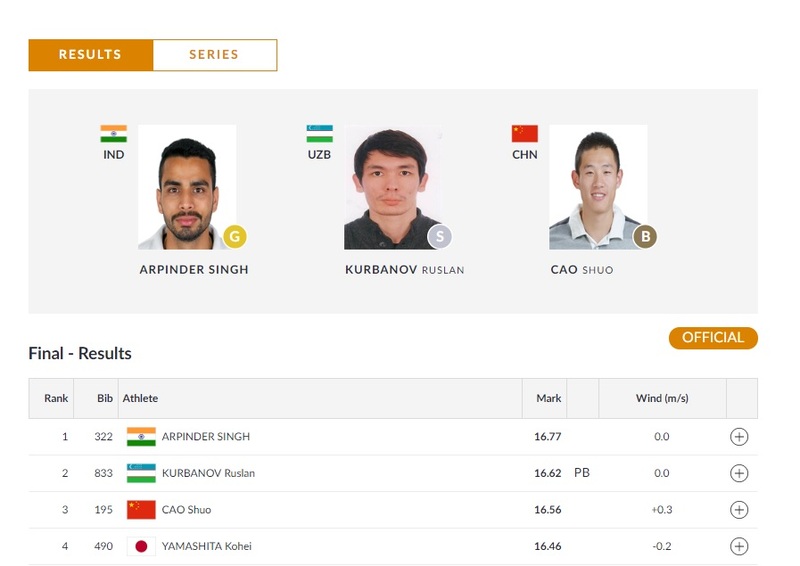 6:30 pm IST | Arpinder Singh won gold in men’s triple jump, after Mohinder Singh Gill in 1970 and Mohinder Singh in 1958. 5:22 pm IST | Dutee Chand clinches silver for India in 200m race final. 3:30 PM IST | India has assured another medal in Table Tennis as Sharat Kamal and Manika Batra have entered semi-finals of Mixed Doubles after beating An Ji Sing and Cha Hyo Sim of North Korea. 3:15 pm IST | India is playing Hong Kong right now in Volleyball women’s semifinal. 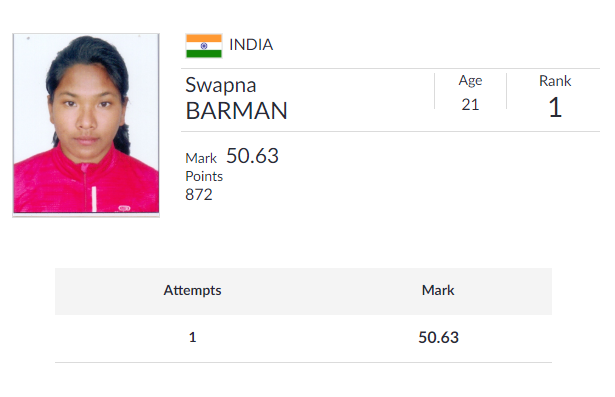 9:35 am IST | India’s Swapna Barman is leading the standings after 6 events in women’s Heptathlon with Purnima Hembram at 4th position. 7:40 am IST | The Incheon games silver medallist Khushbir Kaur missed podium finish by a whisker, finishes 4th in women’s 20km walk. 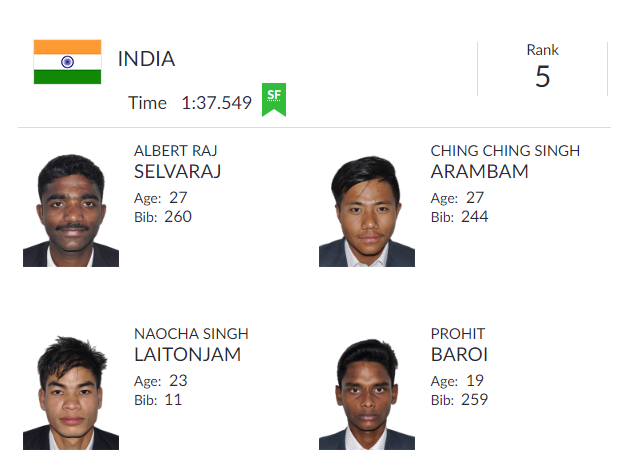 7:20 am IST | Not a good start for India on day 11, India’s Irfan Kolothum Thod, Manish Singh Rawat in men’s 20km walk and Soumya Baby in women’s 20km walk been disqualified.